Months after other carriers had treated the LG G5 with Nougat, AT&T is finally rolling out the much-awaited update to the last year’s flagship. 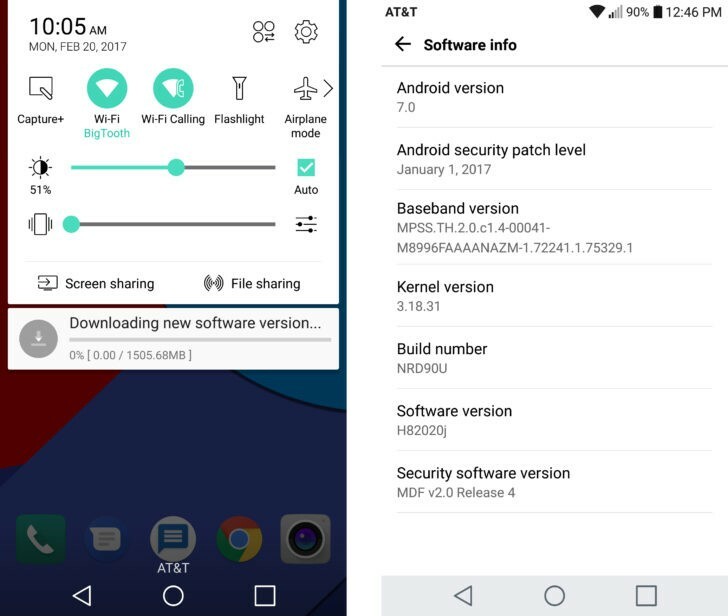 Many AT&T-bound LG G5 users are reporting on forums about the arrival of the Nougat update with a build number NRD90U. The Nougat update rolled by AT&T is 1.5GB in size, and it also brings along security patches for January 2017. There is a limitation regarding the manual check for update on your LG G5 on AT&T network; you can only check once in a day for the update. To perform the manual check, go to Settings > About phone > Check for update. Being a phase-wise rollout, it could take weeks before your G5 unit gets the update notification. To recall, the first carrier to start rolling out the Nougat update in the US was Sprint, which was later followed by T-Mobile, US Cellular, and Verizon. AT&T has not specified any reason behind the delay for Nougat rollout, but we are happy that they finally pushed it. Also, it is highly recommended for the AT&T’s LG G5 users to install the update on a stable Wi-Fi connection as the size of the update is quite large. 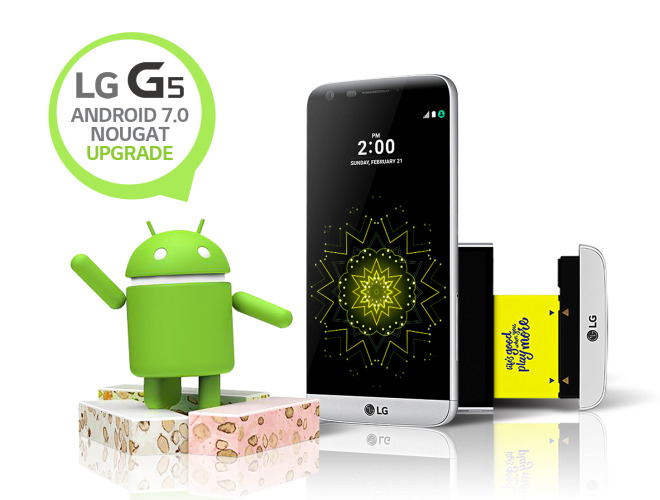 Android Nougat brings many new features and performance enhancements to the LG G5. Features such as split-screen, multi-tasking, quick settings, enhanced Doze mode for battery saving, and performance stability. Even though LG’s G5 can’t be put on the list of successful devices by LG, but it certainly witnessed a rapid update cycle. With the nearing launch of LG’s 2017 flagship – the LG G6, carriers are rushing to roll out the Nougat update to the previous year’s flagship. In another news, Sprint has started rolling out the Nougat update for the HTC 10. As per a tweet by Sprint HTC 10 users, their unit has started receiving the Nougat update. Similar to the AT&T, the update by Sprint is also 1.3GB in size, and it also brings Nougat features such as multitasking, enhanced notifications, and much more. We hope that Sprint does not face any issue with the update rollout as HTC encountered in Europe. Due to some technical shortcomings, HTC had to halt Nougat update for the HTC 10 in Europe. To check for the update on Sprint’s HTC 10, go to Settings>About>Software Updates. If you have AT&T’s LG G5 or Sprint’s HTC 10, please check for phone for the update and let us know if you have got it.